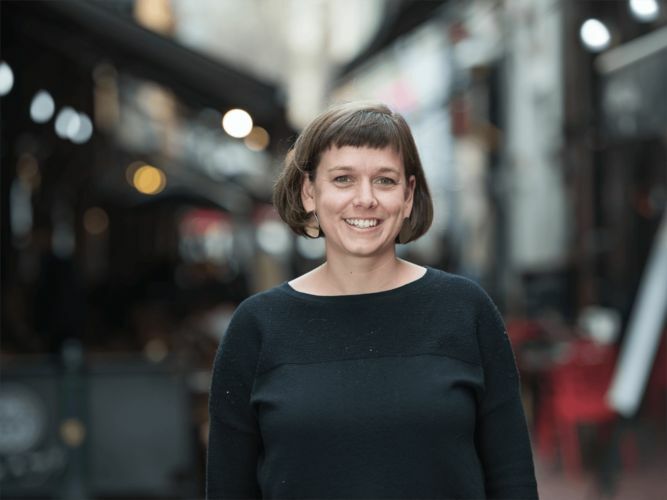 Master of Development Studies alumna Bronwyn heads up IWDA's Women's Action for Voice and Empowerment (WAVE) program. The program aims to put more women in positions of power across the Asia Pacific, and increase women's roles in the decision making in their communities. Addressing the uneven power balances left behind by colonialism is a key part of Bronwyn Tilbury's current job. The Master of Development Studies alumna works as a Senior Program Manager at the International Women's Development Agency (IWDA). IWDA has a clear mission: gender equality for all. They work towards this goal by supporting the work of partner organisations across the Asia Pacific, rather than riding in over the top of them. "It's about building long term relationships and being constantly reflective about the power dynamic that can often creep in between western development organisations and others. It's always a work in progress, and we're not perfect, but that's what makes this job really fulfilling." She heads up IWDA's Women's Action for Voice and Empowerment (WAVE) program, which aims to put more women in positions of power across the Asia Pacific, and increase womens' roles in the decision making in their communities. "The reason for our program's success is the relationships we have with our partners," she says. She's built those relationships through her career, education and a five-year stint volunteering and working in Fiji. Tilbury says that combining this lived experience with the theoretical grounding of the Master of Development Studies has been "very useful" in her career. "I engage with (theory) and make it practical through my work on the ground." While studying at The University of Melbourne, she helped start a Students in Development Studies society. Members of the group held social functions throughout the year, and debated the concepts and ideas that came up in class. Her fellow students went on to become her fellow professionals, and she often runs into Master of Development Studies alumni in her work life. "The other people doing the course were a real highlight of the program," Tilbury says. "It's such an international group of people, and a lot of students were there on AusAID scholarships. They really broadened my understanding of what you can do with the degree, and how people around the world are engaging with the issues surrounding development." Students should be unafraid of getting out of the classroom if they want to become better practitioners, she says. "I was lucky enough to volunteer in Fiji for three years, and stayed there for another two years working, and had some really formative experiences. I built some strong relationships with Fijian Women's Rights movements. They were generous enough to call me out on some of my practices. I wouldn't have even been exposed to that critical self-reflection if I had just stayed in Australia. So that's my biggest piece of advice: get out. And don't just go for two months. Commit to staying for a while." Learn more about the Master of Development Studies program.